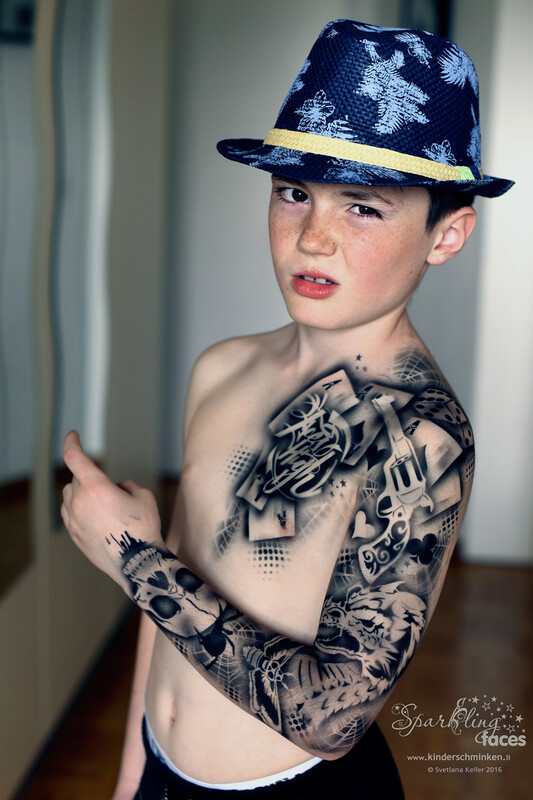 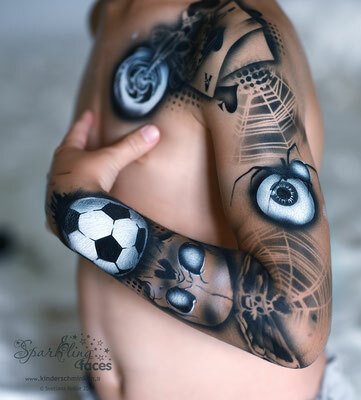 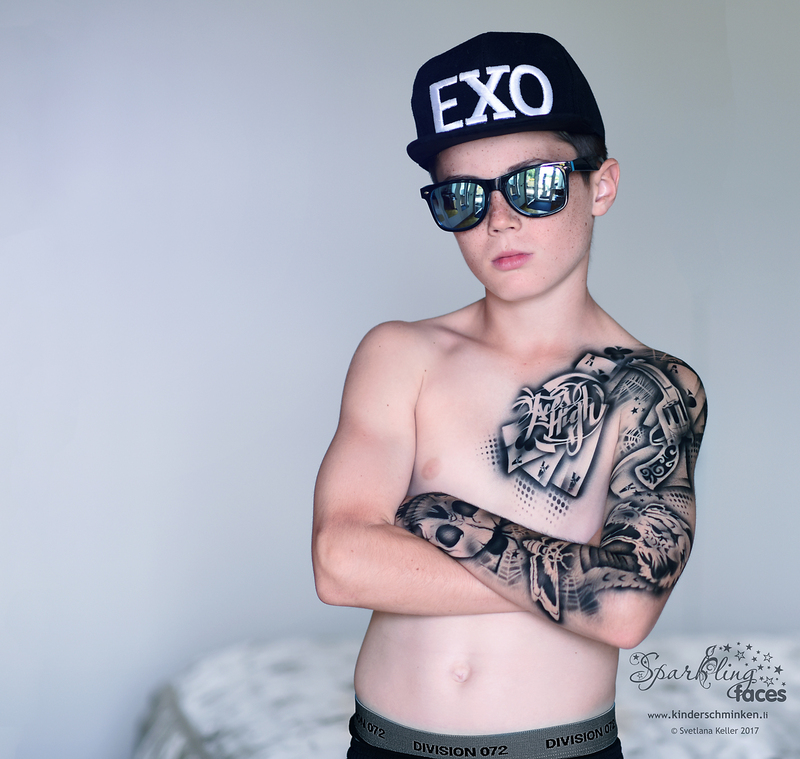 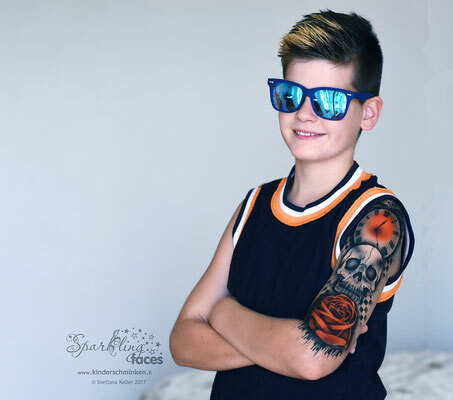 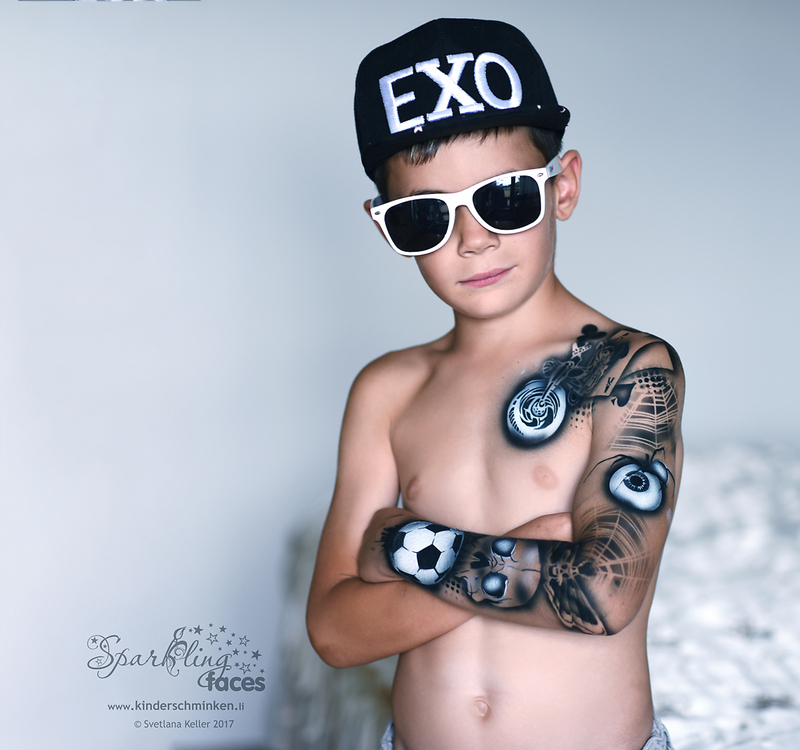 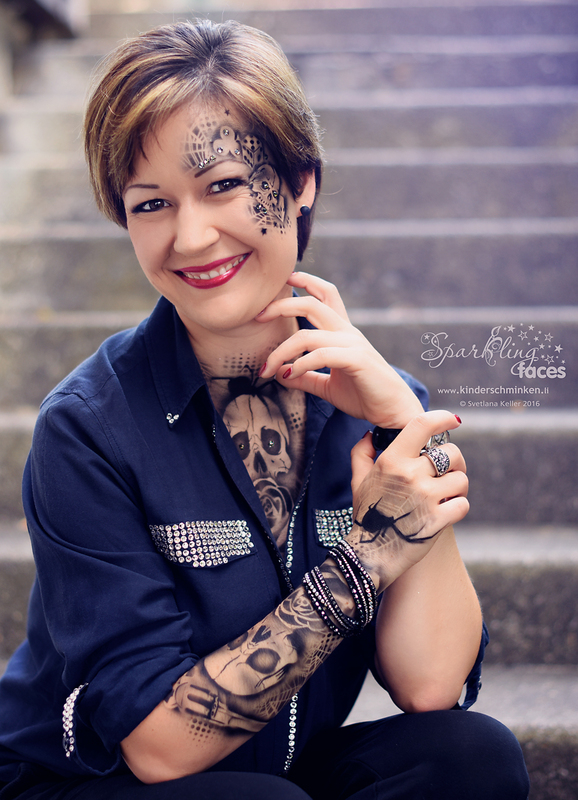 Airbrush Tattoos - Sparkling Faces. 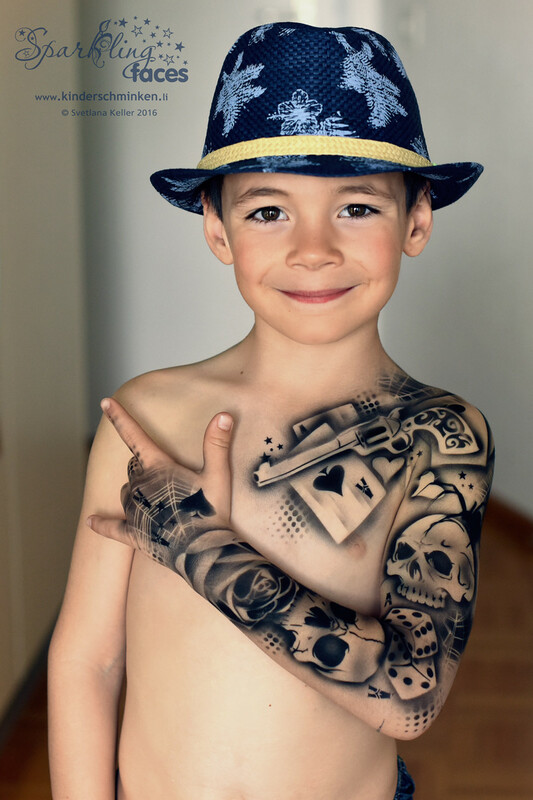 Kinderschminken. 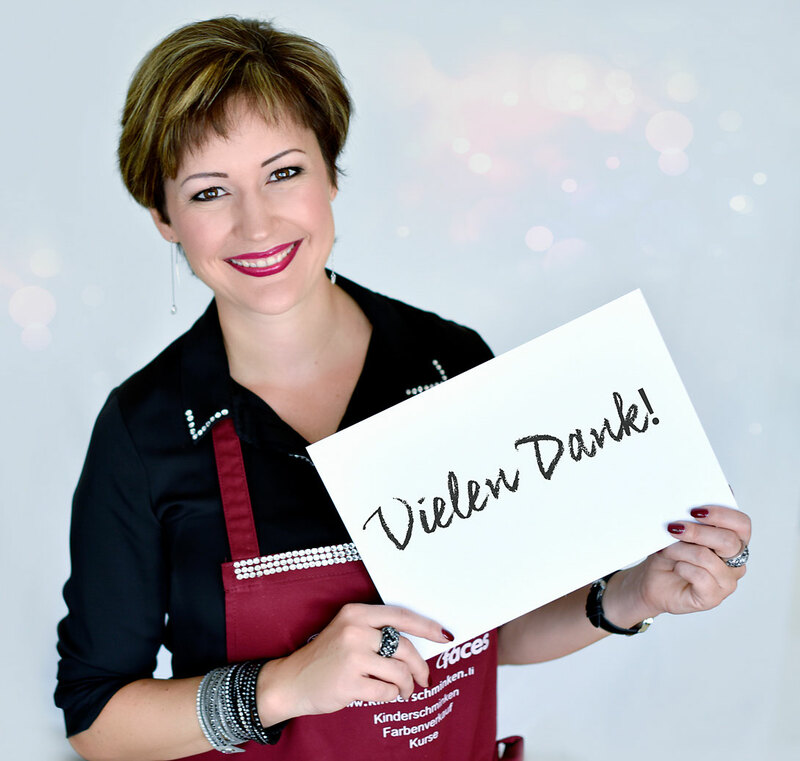 Farbenverkauf. 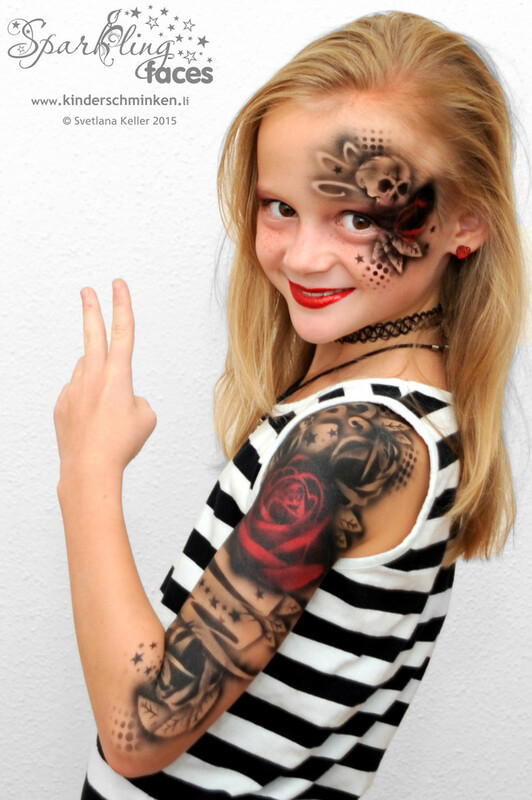 Kurse. 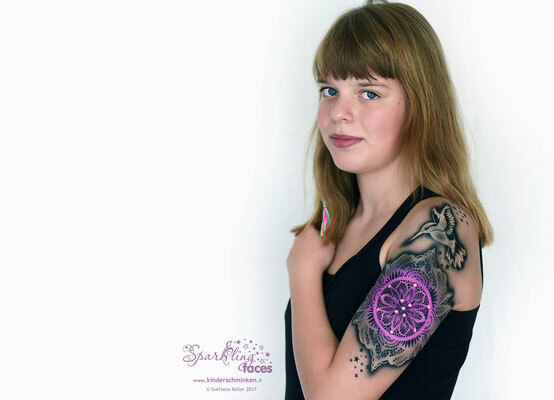 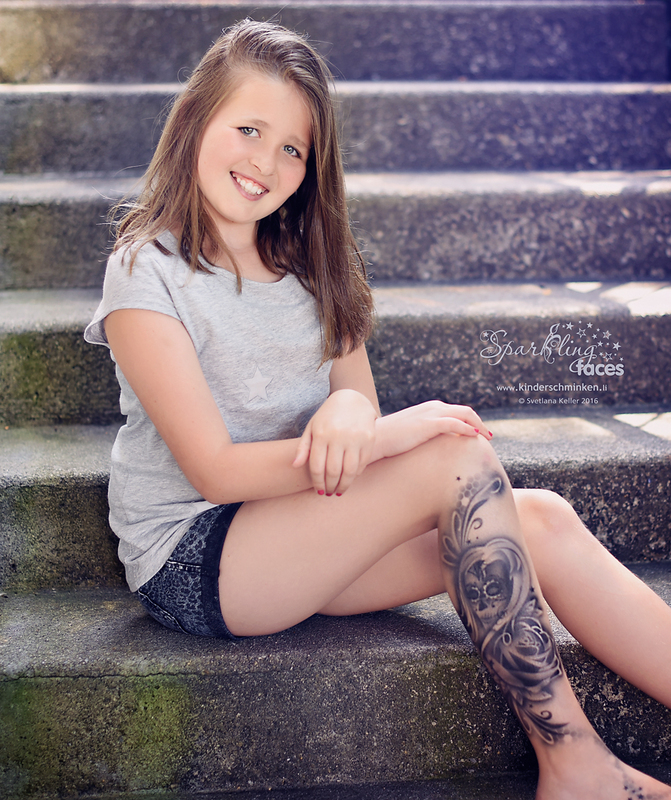 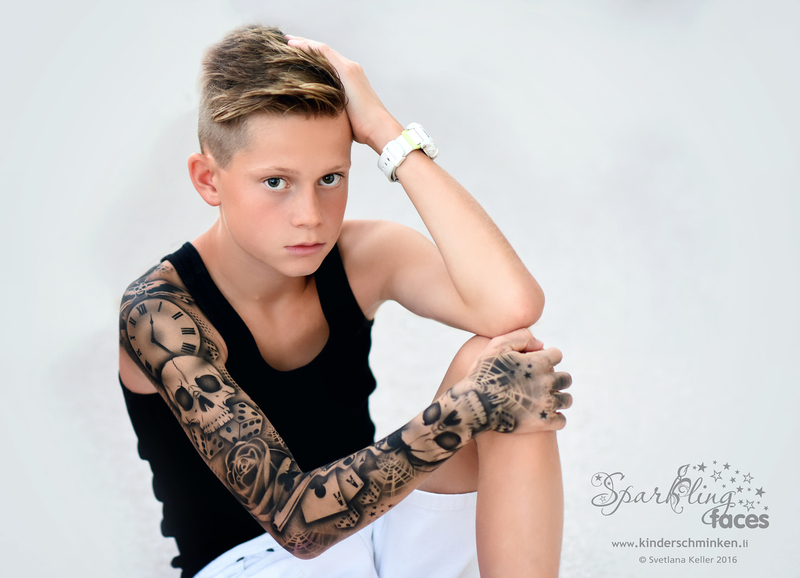 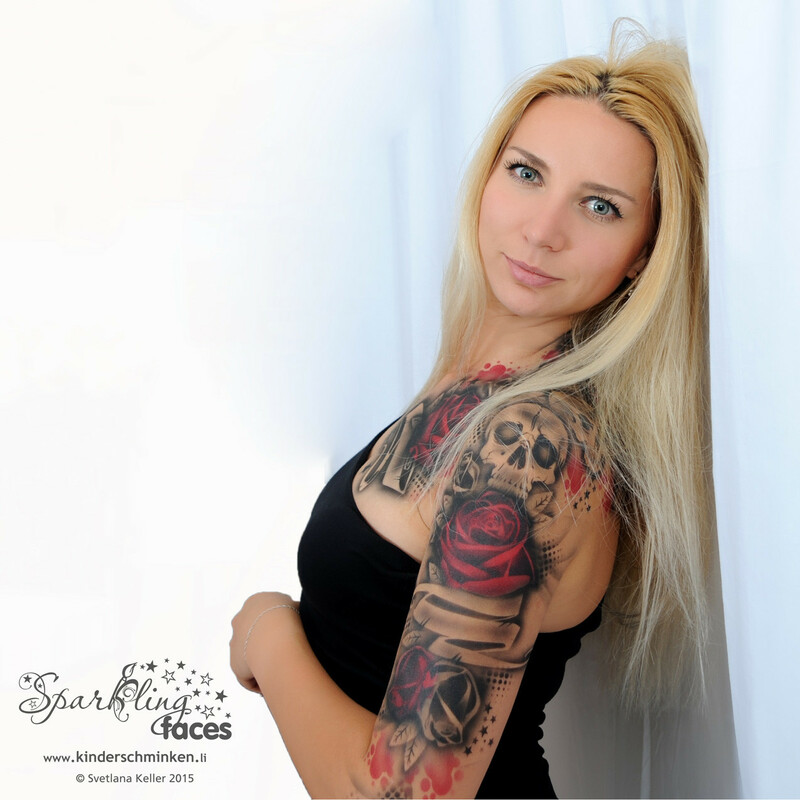 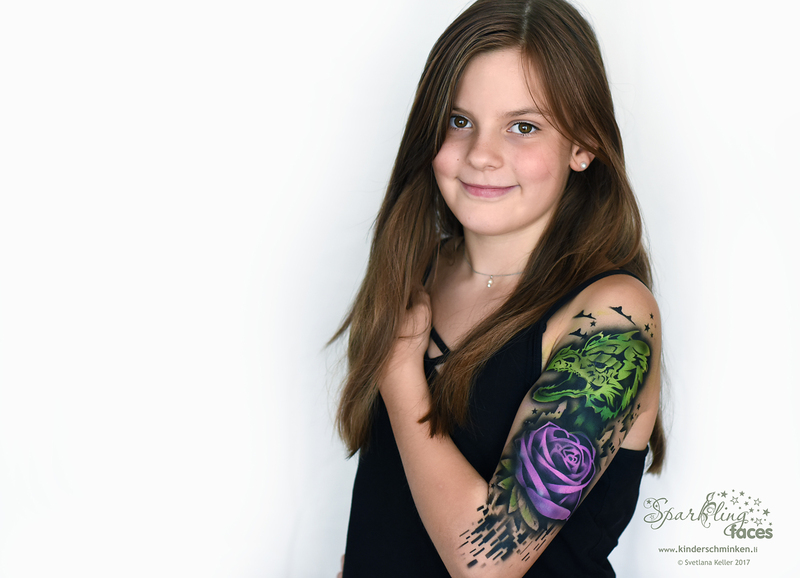 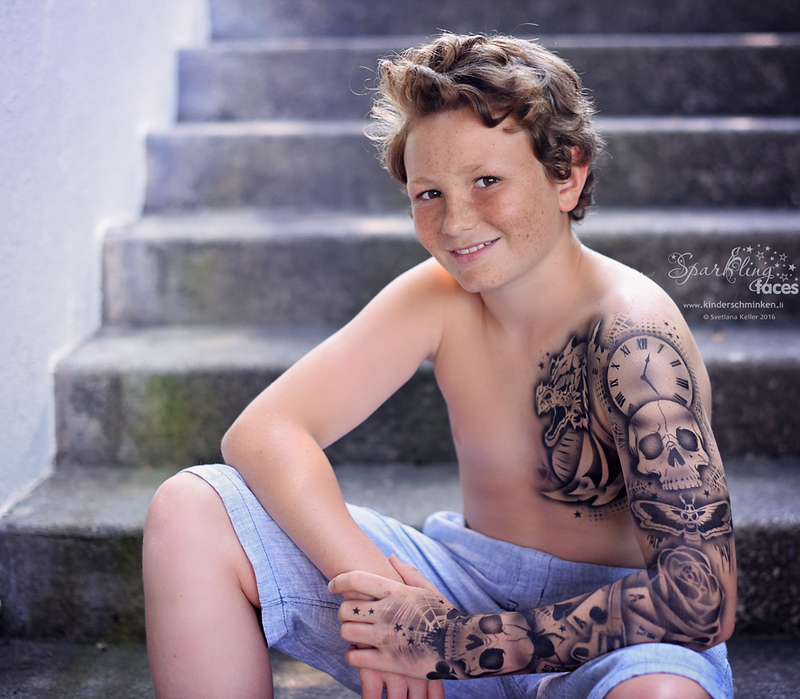 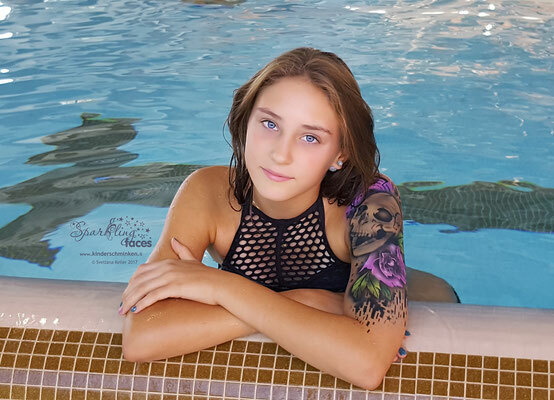 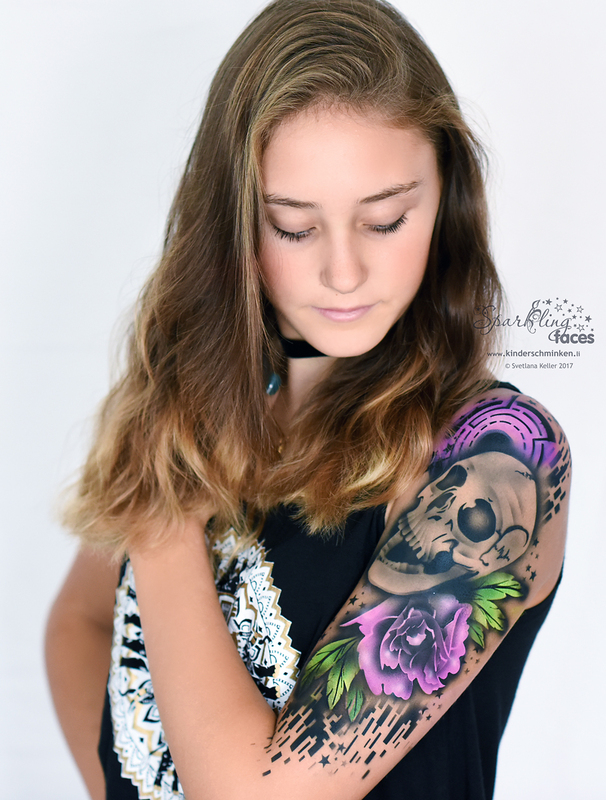 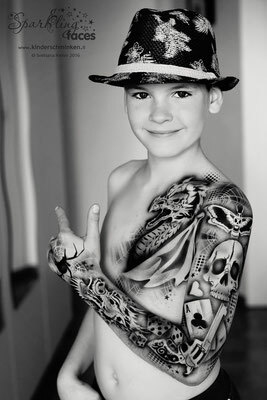 Sparkling Faces now offers long-lasting airbrush tattoos! Deceptively real and applyed just in a few minutes, these tattoos are waterproof (even sweating) and last up to three days. Whether for you privately or as an attraction for the customers at your event - with these tattoos you are guaranteed full attention!